I’ve been doing a lot of thinking about the idea of movement. There have been, throughout Church history, many movements. These movements, being started by people who were sensitive to what was going on in their church and in their world, were revolutionary and necessary. These movements were genuine. They didn’t seek to damage the Church or, in most cases, separate from it. Rather, these movements were to bring reform to the Church and ultimately to serve the Church. One such movement was the famous reformation. 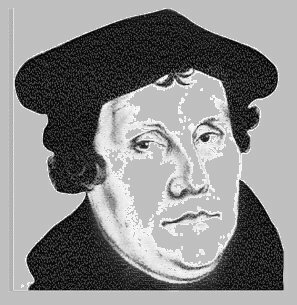 Martin Luther had seen that the Church had become stagnant and corrupt. The Church leaders; the bishops, the priests, even the pope were failing in their task of serving the Church. Luther noted that they had become no more “spiritual” than any of the Lay people. The Church was taking advantage of the people and charging them money for the salvation of themselves and their loved ones from purgatory. Luther, saying “The time for silence has past, and the time to speak has come…” became a voice for change, for reformation, to bring to life again a dead faith. Other movements came up in other places through history to bring reform and change and to serve the Church and the world. Every generation, it seems, was out to bring to life again a dead idea, a dead faith. Another such movement was Pietism. Fathered by Philipp Jakob Spener, the pietist movement took off calling for “a new reformation.” Spener noticed that the Church was becoming so focused on doctrine that church became just high level doctrinal discussions which related very little to the people in the pews. The Church was, again, becoming stuck in a dead idea. Spener understood and suggested that “doctrine is not to serve as a substitute for personal faith.” He wanted the lay people to be called to obedience rather than be bored by listening to how much the preacher knows. He called for preachers to set aside their academic tone. He called for more personal spirituality in the lives of the Pastors. He instituted “Colleges of Piety” which were small devotional groups which sought spiritual growth together because there was no spiritual growth happening in the Church. Spener saw that the Church had become stagnant and needed revival. It was becoming all about doctrine and not about actually following Jesus. But the irony is that the very Church he was reforming was the Lutheran Church; the very same Church which sprung from the reformation, the Church of Martin Luther himself. This Church, which held its roots in revolutionary ideals, was now a dead idea. When I first heard in a lecture the views of Spener and his revolutionary movement I was astonished by the similarities in theology and even in tone between this pietism and the emerging church. Both call for change, both see the church as being stuck in a dead faith, both call for change in a church which has lost its voice. They were reforming a church that people had stopped listening to, which happened to be the church of the reformation. Later in history pietism would suffer the same fate as this Lutheranism and become dull and legalistic and someone else would have to come along and reform that. I often hear, in the emerging church movement, the tone that suggests that they are on to something totally new. We think we’re some kind of movement the likes of which the world has never seen. But if we take a look at history we’re no different than the movements which came before us. The things which we want to call into question exist because someone brought them into question a long time ago. We’re no different than our predecessors and one day we will suffer the same fate. Yes, there is freshness in what we’re calling for, a “newness,” something very necessary but one day (if history repeats itself) we will need reforming. We can never stop reforming. This is because the Church is more than an institution. It is beautifully organic in nature and therefore must continue to grow and reshape itself. I think every revolutionary in church history knew this but it was their followers who screwed it up. Luther had it right (and Spener knew this) but Lutheranism got it wrong. Now what will probably happen is this: the emerging Church will change the face of Church in the world. It will bring about incredible and beautiful change, necessary change. But then, at some point, we’ll arrive. We’ll nail down our “answers,” come up with our doctrines, set them in stone, and as our predecessors we’ll try to protect them and leave them unquestioned. Then someone down the road we’ll see that we’ve stopped and they’ll have to continue in this organic process. Someone will call for reformation again and we, as an institution, will fight back and protect our conclusions. But here is my idealistic hope: We will never get to a point of such arrogance that we’ll set our doctrines in stone and try to protect them. We’ll reshape and change, not with the introduction of some new philosophy and with the struggle and conflict which comes along with such a thing, but as one Church seeking after God. We’ll be the ones to call out from our own ranks the kind of change which is necessary for such a movement as the Church; an organic movement. We’ll keep the right mind, and cling less to our decided theologies and more to the transcendent yet immanent God; YHWH. We’ll have the readiness and humility to see when our ideals are dying and we will be able to change them without the struggles that come when people desperately cling to their position. I pray that the Church will be one movement heading in the same direction. I’m not talking about getting rid of denominations. I’m talking about ending of the painful pattern of fighting which takes place within the church to bring reform. Instead of this pattern of changing and clinging and changing again may we be forever reforming and forever changing so as not ever to get the notion that we’ve arrived in a comfortable place. Because when we get comfortable that is just when we need to begin moving again. Is it possible for us to avoid the pattern we’re in? Is there any other way in which the church can stay organic, every reshaping and changing? May we have the proper humility for the task of being the Church. May we never come to the notion that we’ve arrived or that we have all the answers. May we allow the Holy Spirit to be our guidance, not our own egos. And may we pass on this task rightly to the generations which follow so that they may continue in the task of humble reform. Martin Luther, To the Christian Nobiity of the German Nation from The Three Treatises, (United States: Fortress Press 1966) 15. Justo L. Gonzalez, The Story Of Christianity Vo. II, (New York: Prince Press 1985) 206. As Doc Ok would tell us, history is so important for us for so many reasons, one of which would to be to help us understand how such things in the past will help us better understand the culture we are currently living in and why such things are helping us move with our culture. Great post Wes! I miss you!! Call me or come see me or something! Love you! Somehow, I find it very difficult to become interested in "movements", unless it's the one that happens in the bathroom. What I do find interesting though, is Jesus, and knowing that He reached out to me, and found me. Jesus brought to us a revolution from religion, and we took that seed of relationship and organized it into a religion. I guess I just have a more opetemistic outlook on religion. Yes, we've seen it institutionalized for far too long, but outside of the institution it's a beautiful thing. Religion or not Jesus called us to be "revolutionary," so to speak, and we can't do that alone. Only in the context of community is the Image of God portrayed. You are a Christian and therefore part of a family with a long past. We're a part of a movement to be a blessing to the world. That's the kind of religion I'm talking about. Now, when this movement of Christ followers becomes too institutionalized and starts caring more about doctrines than actually following God then change needs to happen. That's cool, Wes. I do admit that the body of Christ does have a corporate dimension, but I don't think it looks ANYTHING like the church in it's current form... emerging or not. I think it is built around a community of close proximity, brought together and unified by one simple revelation... Christ. Nothing more, nothing less. The problem is, we aren't comfortable with Christ alone. We want something more. That's why we invent religion. We like it's rules, practices, and rituals. We find security in those things that connect us to Christ (seemingly), but never seem to understand that it's not about us connecting ourselves to Him, but the fact that He connected Himself to us... from the very beginning. I don't blame people for not being able to trust Christ. If I knew Christ the way they did, I wouldn't trust Him either. The hubris of that last statement is stunning. How would you have preferred I worded it? Mike, Bruce is my freind and I have never seen anything closely resembling overbearing arrogance and pride about him. I think he is simply reflecting on the fact that most Christians have been taught that God is primarily an angry vendictive God as far as most of the world is concerned which tends to make it very difficult to see Him as trusting. I was taught that and so was Bruce. For me atleast, it has been a difficult struggle to break free of the theology of others and learn to trust Father to reveal Himself to me as He is. Now I see Him completely different. Before I was full of doubt and couldn't trust Him. Now I embrace Him as the One who I can depend on as having nothing but good intentions for me and for all of us. Bruce has helped me see Him in that way and I am happy to defend his good intentions. I commend you for sticking up for your friend. I don't think you should think so little of the "theology of others." These "others" are your brothers and sisters in Chirst. I wouldn't say you should subscribe completely to someones theology but it is healthy and important to find harmony among different theologies. These people have thought and studied and prayed, asking the same questions we are. They don't search for right understandig only for themselves but theology is for you, for me, for us. Theology's primary task is the service of the Church. It's good to appretiate the ideas of others... it's one way of entering into community. The eye can never say to the hand, "I don't need you." The head can't say to the feet, "I don't need you." Come on Wes, some theology isn't worth entertaining. But I think it is great to discuss different theologies. I would agree that it is healthy to do so. I would also agree that it is very unhealthy to not permit other points of view from being openly discussed but just try that in your average Sunday school class. I cannot image how rewording an arrogant statement makes it less arrogant. Since you feel the need to “defend” your friend, I’ll address the rest to you. For starts, I did not say Bruce was arrogant. I said his statement was. I figure it is possible, and even likely for people to misstate themselves or even make uncharacteristic statements from time to time. Thus I addressed the statement he made rather than his character. I wondered at the time he said it, if he was not being witty. I might use a similar type of humor myself from time to time, however, the rest of his comment assumes a very serious attitude. And the next comment continued that serious tone. So I deduced that even the original comment was more arrogant than the one I pointed out. In effect, he said that Wes’s whole post is less interesting to him than his own bowel movements. That is pretty raw in my book! I find it highly ironic, if that is true, that Bruce would read and comment on this post at all. That is unless he actually is looking to make arrogant statements. And when I pointed out the hubris of his second comment, he did not offer that he was trying to be witty, instead he became very defensive. He posted a comment suggesting that I might want to hurt him. Later he deleted that comment and asked how I would like to see it reworded. I just told him that I really see no point in rewording it. His second arrogant statement suggested that he has some better “knowledge” of God than other people, and that if he had the kind of substandard knowledge others have, he “would not trust Christ either.” By using the phrase “not being able to trust,” Bruce is suggesting that there is something defective about how others relate with Christ, and he does not suffer from that defect. It has a condescending tone to it. Now you come along saying you are defending your friend who you “have never seen anything closely resembling overbearing arrogance and pride about.” But I am saying, I have seen plenty, and now I have pointed it out to you as well. But then you deflect the issue by suggesting that perhaps he is “reflecting on” (however you use the word in such a way as to suggest that “reacting to” would fit better) “the fact that most Christians have been taught that God is primarily an angry vendictive God as far as most of the world is concerned which tends to make it very difficult to see Him as trusting.” If Bruce had been “reflecting on” then perhaps he should have said so. It is amazing that you seem to know so clearly what he meant to say and did not. Then you say that you and Bruce were both originally taught this stuff, and have “struggle[d] to break free” from it. You paint a picture of a great struggle that you and Bruce must face when dealing with people who don’t know what they are talking about with regard to Jesus. It seems to me that by suggesting that this struggle lies behind Bruce’s seemingly arrogant statement, you are thus also suggesting that he is having that struggle with Wes and perhaps the rest of us who comment here. However, there are two things to rebut in that. First, I suggest that you read every post on this blog and show me one instance where Wes has “taught that God is primarily an angry vendictive God.” I don’t think you will even find a comment on a post by any of the readers that could be construed as such, and if you did, I assure you that it does not carry much weight here. Therefore, the struggle you and Bruce are waging is misplaced on this blog, unless the second rebuttal holds true. That is perhaps the two of you need to perceive Wes, his blog, and perhaps many of his visitors who comment here (and for that matter “most Christians” as you say) as your opponents in order to feed your arrogant egos. I am glad you have struggled against such lousy teaching. I hope you will keep it up, when you find it to struggle against. However, that is not being taught here. And, in fact, I see very little of it these days; I would argue that it is in fact not true of “most Christians.” But if, when and wherever you find it, I encourage you to stand against it. I would stand with you against it. But that is not what is happening on this blog. This is the way I see it. The statement was, “overbearing[ly] arrogan[t] and pride[ful]” to say the least. But if the statement is not characteristic of Bruce, and you too, and is part of your struggle against people who teach that God is angry and out to get you, then turn your guns elsewhere. My comment is not meant to hurt, but to challenge hubris. If Bruce is really humble instead of arrogant, let him retract the statement, and perhaps the two of you could hold out an olive branch on this blog rather than struggle against phantom teachers of wrath. There's alot of wisdom to what you said. I think you're right on. I hope that we don't end up so hung up on this. I hope you'll consider what Mike has said and I hope we can move on, still remembering that we agree on what is most important. Yea you're right Mike. Sorry I was so foolish. In your theology where do people who have not accepted Jesus as Lord go when they are done on this earth? What do you teach about that? Where did that question come from? What does it have to do with my post?